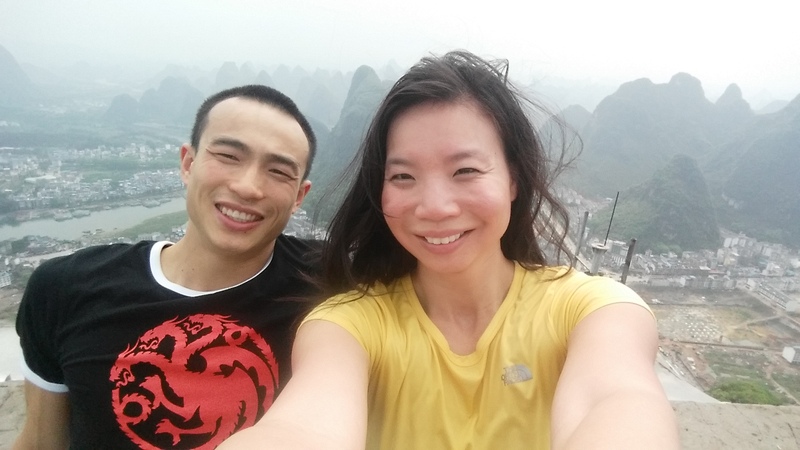 4 Perfect Days in Yangshuo – Jet. Set. Jeanne! China’s climbing mecca is nestled within lush, emerald-green paddy fields and dotted with majestic karst towers soaring into endless sky: this is Yangshuo. 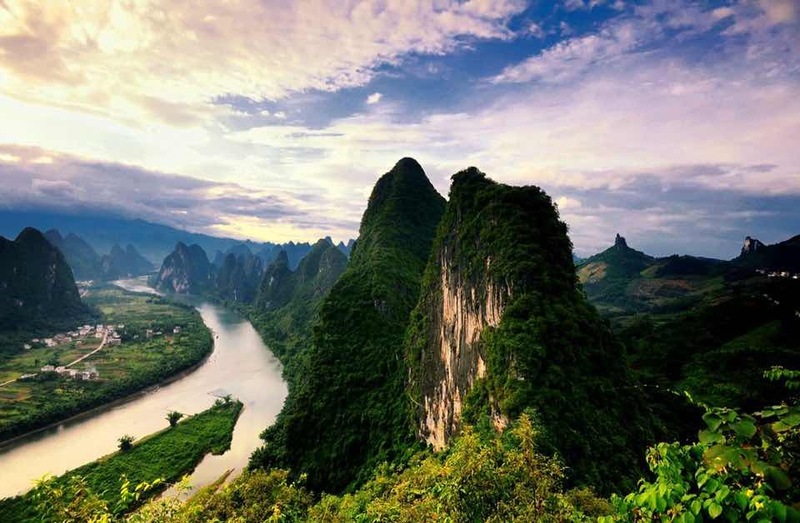 It is one of the most beautiful places you will ever visit on Earth, and famed in classical Chinese paintings for its incredible karst scenery. 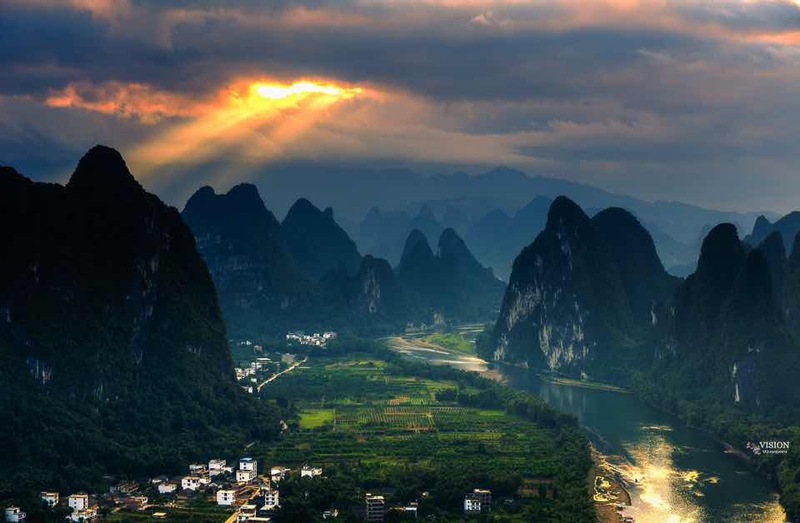 Yangshuo has been a popular backpacker destination since the 1980s and rock climbing was first established in the early 1990s by American climber Todd Skinner, who established a number of classic lines such as “Moonwalker” which traverses the famous Moon Hill arch. There are now around 800 established routes at grades from 3 to 9a+ (5.4 to 5.15a), putting Yangshuo on the map as a premiere climbing destination. Yangshuo holds a particularly special place in my heart because it’s where I learned to lead sport climbing (where the climber places quickdraws in pre-bolted routes, and then clips the rope to protect her as she ascends) nearly 8 years ago. It’s been awesome returning after all these years to find a thriving climbing community that is climbing harder, stronger, and faster than ever before! 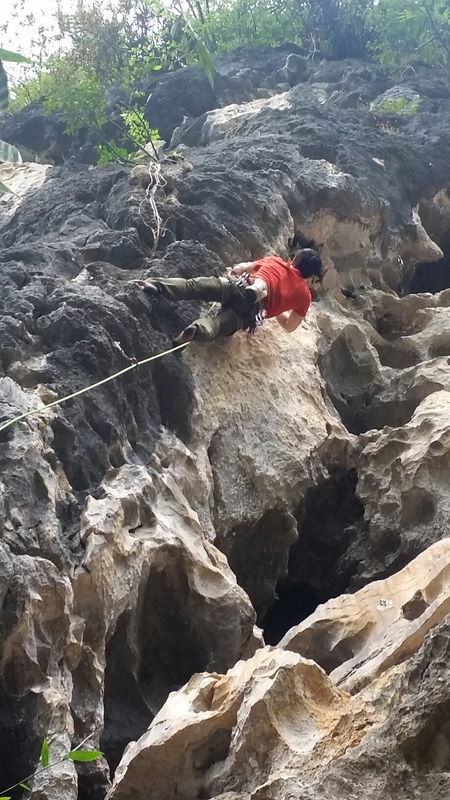 As is the case with most of Southeast Asia, the majority of routes are bolted single-pitches on typical tropical limestone: dark and quite sharp where exposed to rainfall; lighter, smoother and providing great climbing where sheltered from the elements. However, a growing number of multi-pitch sport routes and traditional climbing routes are being established due to the karst towers’ great potential. Our first jaunt to Yangshuo was back in November 2007, and we loved the warm, moderate temperatures and minimal rain – ideal for climbing. We recommend going in late autumn/early winter, when it’s too cold to crag back home. Spring can also be good, but be prepared for a chance of rain and isolated thunderstorms, which can make the rock moist and more difficult to climb. How to Get There: Yangshuo has no airport. The nearest airport is Guilin Liangjiang International Airport (airport code KWL) in Guilin, served by many Asian carriers with several daily flights from Beijing, Shanghai, and Shenzhen. It is generally cheaper to fly to Guilin from Shenzhen than from Hong Kong, just across the border as flights from Shenzhen are considered a domestic flight, whereas from Hong Kong is international. There is also a daily flight from Kuala Lumpur by Air Asia. 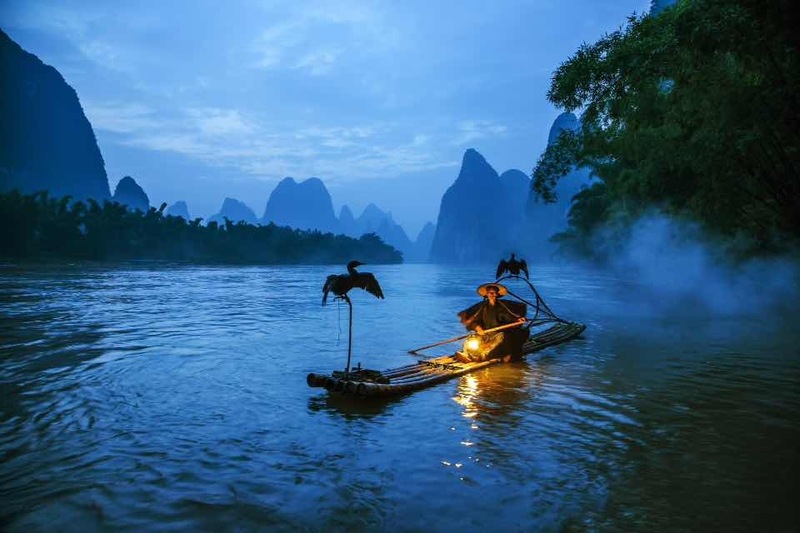 From Guilin, Yangshuo is easily accessible by bus, boat, or taxi. The quickest but costliest option is by taxi, which takes 80-90 minutes and can cost anywhere from $40-$64 (RMB 250 – RMB 400). Where to Stay: We recommend Fun Sam’s Bed and Breakfast, Tripadvisor’s #1 Rated Specialty Lodging in Yangshuo County. Its off the beaten path location is one of its prime draws, since it’s far away enough from the hustle, bustle, noise and crowds of the city center, but close enough for a brisk 20-minute stroll or a 5-minute scooter ride into town. Sam is a Yangshuo local and a super warm, welcoming, and knowledgable host. 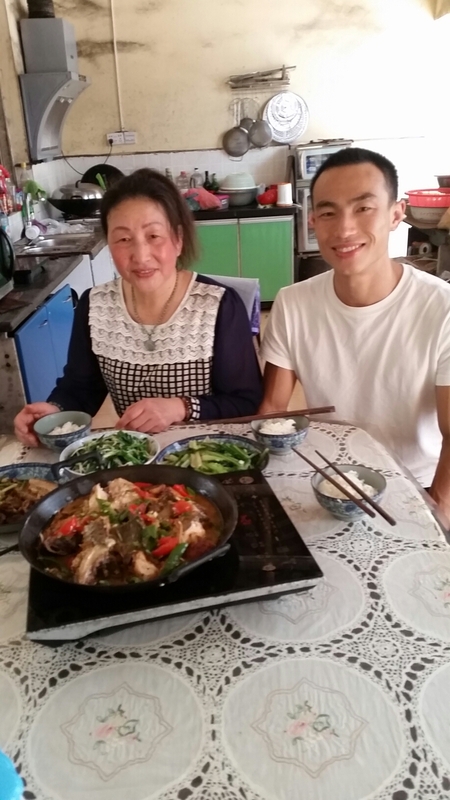 His family’s Bed and Breakfast offers fantastic value, stunning views of the incredible karst towers, authentic and scrumptious mom-made breakfasts of Guilin rice noodle soup, and clean, traditionally decorated rooms outfitted with ensuite bathrooms and WiFi access. Summit selfie with Sam, who took me on one of his hometown hikes. Check out the customized private tours he runs on bike, scooter, and foot to get to see and Yangshuo like a true local! Lucy’s Place, on Guiha Road near West Street serves up delicious salads, burgers, pastas, and fries. Order the tuna salad and special fries with dipping sauce! Minority Café on Guiha Road a few doors down offers healthy salads, juices and breakfasts. Try their fresh and scrumptious vegetable spring rolls and watermelon juice! 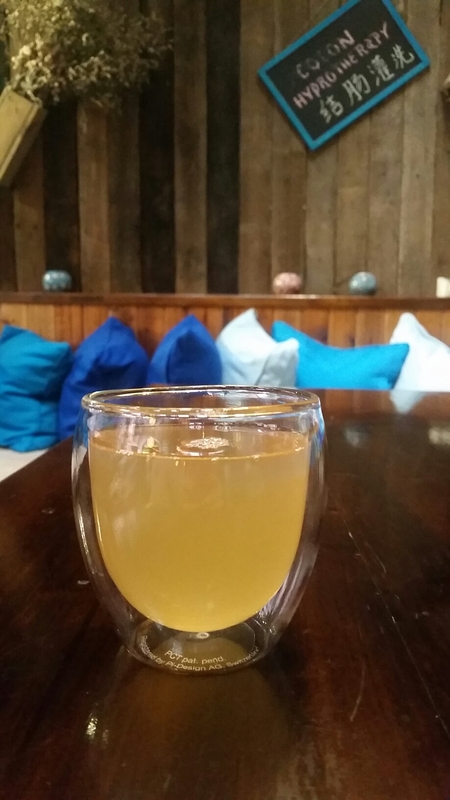 Mood Foods Energy Café on Furong Lu serves up fresh pressed beet and ginger juice, wheatgrass shots, homemade kombucha, and an abundance of healthy meals. We loved the Tahini burger with kale chips! Make sure to sample local food specialties include fish hot pot, beer fish, guilin rice noodles, kumquats, and fruit-based wines! 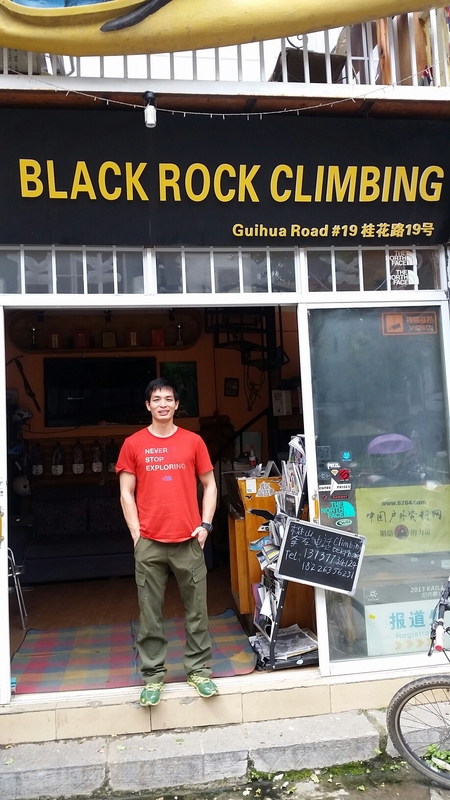 Hire pro climber and North Face athlete Aniu and his awesome team of local guides @ Black Rock Climbing for less than $100/day to give you all the best beta for cragging in Yangshuo! Black Rock Climbing also sells and rents best-in-class gear from brands like Black Diamond, Petzl, La Sportiva, evolv, etc. Beginner/intermediate (5.7-5.10) crags include Swiss Cheese Wall and Wine Bottle Cliff. Expert-only (5.11-5.15) crags include Moon Hill, White Mountain, and Lei Pi Shan. Check out Rock Abond for some late-night bouldering, live bands, and enjoy an apres-climb cocktail at the bar (note: we do not recommend drinking and climbing, but drinking after you send). Detox Day: Treat yourself to an ionic cleansing foot bath, colon hydrotherapy, sauna, meditation, Qi Gong and yoga at Mood Food Energy Café!